With Maratek’s Solvent Saver – Continuous (SSC) recycling line of products, you can expect to recycle up to 95% of your polluted solvents. 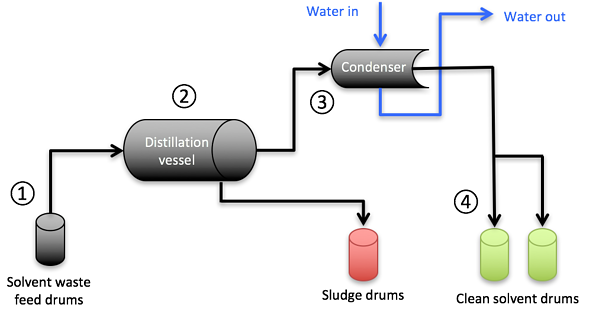 This line of solvent recycling equipment processes waste solvent automatically using continuous distillation methods. 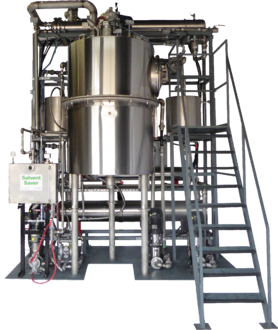 Waste solvent streams can be recycled efficiently and economically using the Maratek SSC 5, 10, 15, 30, and 50 solvent recyclers. All Maratek SSC solvent recycling units are designed to integrate into your production process. No matter the make-up of your waste solvent stream, from acetones to alcohols, any contaminated solvents can be recycled to their original form. 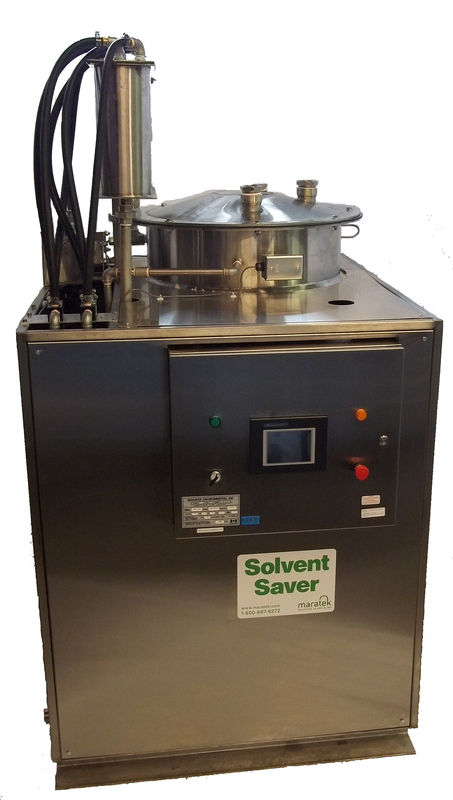 The Maratek SSC solvent recycler models can be designed to handle outputs from 5 to 50 gallons per hour or larger. The units can be programmed to operate in batch or continuous feed mode. Operation is fully automated via a PLC controller with a color LCD touchscreen interface. All units include a stainless steel condenser to return the solvent vapor to liquid form. The SSC-30 and larger sizes must be water cooled. Air cooling is standard for smaller sizes but can be changed to water without additional cost. Water cooled systems require a source of chilling water and water chillers can be provided by Maratek. By selecting the appropriate options these units can be tailored to fit a variety of applications and they can be integrated into most industrial uses. The Maratek SSC units can be configured with different heating and condensing mediums, making these units extremely versatile.